Meka Tac fansite called (oddly enough) GIANT STOMPY ROBOTS! 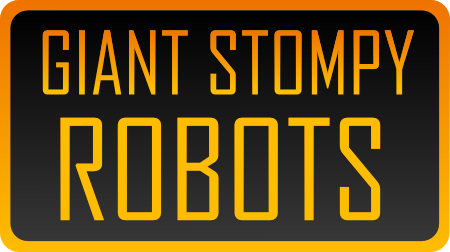 The GIANT STOMPY ROBOTS section of rivetsandsteam.com is a fansite containing free homebrew rules, mecha lists, related download and links for playing Lloyd Krassner's FREE tabletop tactical giant robot combat rules: Meka Tac. Re: Meka Tac fansite called (oddly enough) GIANT STOMPY ROBOTS!